Damon Miller - TFO Phoenix, Inc.
I’ve had the opportunity to work at companies of all sizes at different times in my career. Being with a smaller firm, the personal attention we are able to give our clients makes my work more meaningful. Every family we serve and every employee matters. I feel the breadth and depth of services that we provide to families makes us unusual. It means I have more resources to better serve families and handle any challenge they might face. I’m fortunate that I only have 30-40 families that I personally serve. Working with such a concentrated group of clients lets me develop deeper relationships with them and help them with things they otherwise wouldn’t think to discuss with me. It’s inspiring to be able to look back at the point in time when each client starting working with us, and see the progress they’ve made toward their goals. The things we help families accomplish bring their families closer together. I really enjoy being around the families that I work for. I also like the variety in my role. Most companies seem to expect you to do one thing really well and leave everything else up to someone else. At TFO Phoenix, I’m encouraged to learn about anything that could possibly help a family. We have a collaborative environment, not one of “silos”, and I think that leads to better conversations and relationships with both clients and colleagues. Occasionally I’ll meet a potential client that wants to grow their “pile of cash”, but when pressed with “why” they admit to not giving it much thought outside of the notion that it will give them more “freedom”. I’ve found these people rarely attain the “freedom” they are seeking because they don’t have a finish line they are working towards. I’ve served families with smaller amounts of financial wealth that are much happier than those with larger amounts. Wealth is a tool that can be used to create happiness, but it isn’t an end. 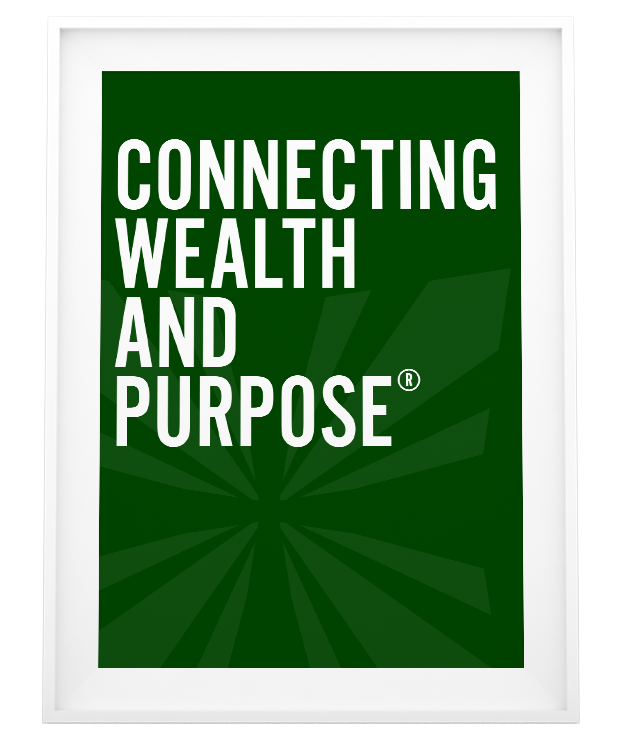 Taking the time to define the purpose and possibilities for your wealth may feel daunting, but leads to great conversations and better decisions. I’ve been fortunate to have several mentors in my life that have each helped me at various stages. My parents are the ultimate “yin/yang” couple who each approach things from a different perspective. Their viewpoints have taught me that there is rarely only one way to solve a problem. My college roommate, Rob Lockwood, and I took the same course-load during our last two years in school and we pushed each other further ahead in life than I previously thought possible. In my first job, my cube was right outside Chuck Carroll’s office, and now we’ve worked at several firms together throughout our careers. He’s always offered a clear and simple way of analyzing a situation or a problem. Last, but not least, is my wife. She keeps me grounded and knows when I need a kick in the tail or a little rest. We’ve discussed every important decision in our lives and we’ve been on the fortunate side of most. Patience is rewarding, but painful. Focus on what you can control instead of what you cannot. Try to find a balance in things so you aren’t overly dependent upon one facet of your life for happiness. Take time at least once a year to get away from it all and sit on a farm and do nothing.